Great Britain Under-18s were narrowly beaten 1-0 by Poland U18s in Tallinn in a warm-up game for the World Championship which gets under way this weekend. The Division II Group A tournament begins on Sunday and GB have a second warm-up again this evening when they go head-to-head with Estonia. 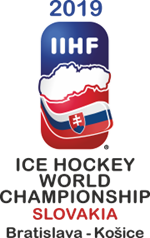 GB, Poland and Estonia are all involved in the World Championship, with Australia, Korea and Lithuania making up the six-team competition which runs from 1st to 7th April. GB U18s interim head coach, Tony Hand, said: “There were plenty of positives to take out the game and we outshot them 28-16. “The most important thing was getting match action and working on systems in match situations. “Poland will be the number-one seed when the tournament begins and they came down from Division 1B last year.